Albany Technical College appears in our ranking of the 10 Best Online Colleges for an Associate’s Degree in Hospitality. 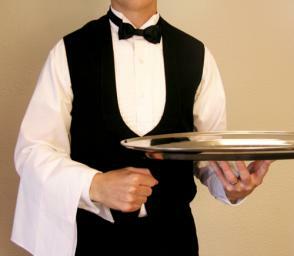 The Technology, Business, and Personal Services Division launched the Associate of Applied Science (AAS) in Hotel/Restaurant/Tourism Management for Albany Technical College students to gather guest service skills for today’s bright $457 billion hospitality industry. Coordinated by Prof. Melissa Hall, the 60-credit degree builds a well-rounded business core in Albany, at the Randolph County Learning Center, or online via Blackboard. Courses like Cruise Planning, Travel Geography, Personal Finance, and Food Service are small with a 15:1 student-faculty ratio. Three credits are devoted to internships, such as Titan Café, Sheraton, Meritage Hospitality Group, Omni Hotels, Marriott, Chick-fil-A, and NCR. If desired, there’s a 44-credit Hotel/Restaurant/Tourism Management Diploma shortened to 16 months of classes from Interpersonal Relations to Sanitation Safety online. ATC’s Hotel Management Specialist Certificate and Event Coordinator Certificate both take under a year with 15-credit curricula too. Albany Technical College originated in 1961 when an inaugural coed group of 175 started at Monroe Area Vocational-Technical School. Months later, the “Good Life City” opened its own Albany Area counterpart. By 1972, Howard Water merged the two-year junior colleges for 12 programs. Under Nathaniel Cross, Albany Technical Institute was acquired by the Department of Technical & Adult Education in 1988. On July 6, 2000, Georgia House Bill 1187 signed by Governor Roy Barnes effectively turned it into Albany Technical College. Accredited in 2005, Albany Tech’s 12-building campus designed a 40,000-square-foot kitchen for its Hotel/Restaurant/Tourism Management Program in 2008. One decade later, ATC broke ground on its $4.98 million Carlton Construction Academy too. Boasting 92 percent in-field job placement, Albany Technical College now enrolls 4,753 on-site and 2,938 online Titans in public, STEM-centric academics. WalletHub ranked Albany Technical College 478th overall with the 55th best education outcomes and 299th top value tuition. OnlineColleges.com noticed ATC for America’s 48th best online associate programs. Diverse Issues in Higher Education named Albany Tech among its 15 most promising community colleges. Forbes chose Albany as the 167th best small city for careers with the 122nd best job growth. Victory Media selected ATC as a “Military Friendly School” at the Bronze level. PayScale recorded a median mid-career salary of $46,900 for Albany Tech alums. In 2017, Albany Technical College’s VP, Dr. Kimberly Lee, was chosen for the Aspen Presidential Fellowship for Community College Excellence. Great Value Colleges also highlighted ATC for the #2 best online hospitality management associate degree. In 2021, Albany Technical College will undergo its next in-depth institutional review by the Southern Association of Schools and Colleges Commission on Colleges (SACSCOC) to certify the Quality Enhancement Plan and continue Level I accreditation for 10 more years under its fifth president, Dr. Anthony Parker, who accepted the 2015 TCSG Award of Distinction for Excellent Financial Reporting. Based 191 miles north via Interstate 75 in Decatur, this superb 11-state Coastal Plains accreditor is recognized by the U.S. Secretary of Education to test the academic effectiveness of ATC’s over 25 associate degree, 40 diploma, and 70 technical certificate offerings. There’s also a Two-Plus-Two agreement with Albany State University, which is accredited by the Accreditation Council for Business Schools and Programs (ACBSP). Getting into Albany Technical College is labeled “non-competitive” by Peterson’s because 1,409 of the 1,409 Fall 2017 applicants were welcomed for 100 percent open enrollment. First-year Titans seeking the AAS in Hotel/Restaurant/Tourism Management must be at least 16 years old. Having an approved high school diploma is the only academic prerequisite. The Technical College System of Georgia considers GED subject marks above 150 equivalent. Freshmen need minimum Compass scores of 62 (Writing), 81 (Reading), and 37 (Algebra). Entrance exams are waived if students earn at least an 830 on the SAT or 16 on the ACT. Testing is completely optional for college transfers who’ve received “C” or better in 100-level English and Math courses. Note ATC undergrads must have at least 25 percent, or 15 credits, of their associate remaining. Albany Technical College offers easy rolling admission, but priority deadlines are currently July 1st for Fall, December 1st for Spring, and April 15th for Summer. Interested Hotel/Restaurant/Tourism Management AAS majors create new log IDs for submitting the $25 application online. Form sections include mailing address, personal data, planned study course, and graduation information. Within seven days, have transcripts, official test scores, and a valid driver’s license mailed to 1704 South Slappey Boulevard in Albany, GA 31701. International students with minimum 500 TOEFL marks also need the passport, certified bank statement, health insurance verification, and SEVIS fee. Please contact (877) 261-3113 or admissions@albanytech.edu for more clarification. For 2018-19, Albany Technical College is billing full-time Georgia undergrads $1,335 per term or $2,670 annually. Non-resident Hotel/Restaurant Tourism Management AAS students pay $2,424 each semester of 15 credits and $4,848 per year. Mandatory add-ons are the $24 activity fee, $50 registration fee, $23 athletic fee, $105 technology fee, and $55 instructional fee. Living at off-campus Dougherty County housing like Princeton Place costs roughly $4,650. Albany Tech budgets $800 for textbooks and $1,547 for personal needs. Annual attendance equals roughly $5,059 in-state and $7,195 out-of-state. Therefore, the Associate of Applied Science totals $10,118 to $14,390. Short-term programs, such as the Hotel Management Specialist Certificate, cost just $2,529 to $3,597 though. According to the NCES College Navigator, the Financial Aid Department in Kirkland Hall disburses $15.56 million yearly for 89 percent of full-time ATC Titans to land a median offer of $5,351. Suggested funds include the Go Build Georgia High Demand Career Scholarship, Shawn Carter Scholarship, Jack Kent Cooke Foundation Scholarship Coca-Cola Scholars Program Award, Grainger Tools for Tomorrow Scholarship, National Technical Honor Society Scholarship, Phi Theta Kappa Scholarship, and TrustedPros Scholarship. The American Hotel & Lodging Educational Foundation has five undergrad scholarships of $500 to $7,500 for minimum 2.0 GPAs. Georgia’s Helping Outstanding Pupils Educationally (HOPE) minuses $73 per credit. Other state-based programs are the Zell Miller Scholarship, Hero Scholarship, Public Safety Memorial Grant, and Reach Georgia Scholarship. FAFSA forms coded 005601 determine Expected Family Contribution for Federal Pell and FSEOG Grants. Federal Work-Study jobs currently pay $8.00/hour for limited 20-hour weeks. Borrowing the Student Access Loan-Technical (SALT) also covers tuition with low 1 percent interest. Find more about Albany Technical College at the Hotel/Restaurant/Tourism Management Program website.